Earlier this year I was fortunate enough to spend some time in Japan. One of my destinations was the city of Kanazawa. I had travelled there mostly to photograph the fabulous Kenrokuen Gardens. But I noticed a small item in my travel guide describing a “Phonograph Museum”. So I went and found it, tucked away down a side street. And it proved enough of a revelation that I thought I’d share it with our TNT-Audio readers! 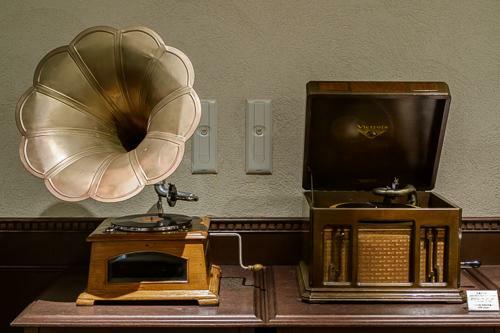 The museum https://www.kanazawastation.com/kanazawa-phonograph-museum/ is spread over three floors of a substantial building and houses 340 phonographs of various vintages, from the 19th to mid-20th centuries. 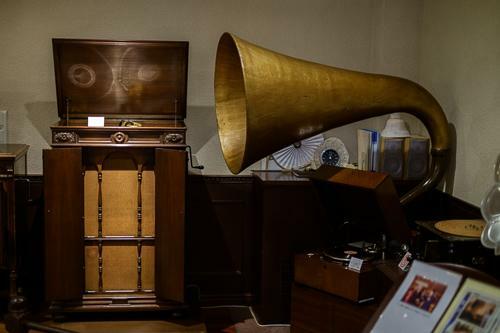 Most of the phonographs are still usable and demonstrations are held three times a day, enabling visitors to listen to technologies ranging from wax cylinder phonographs to later generation 78RPM machines. The collection was started in the early 1970s by Hiroshi Yokaichiya. 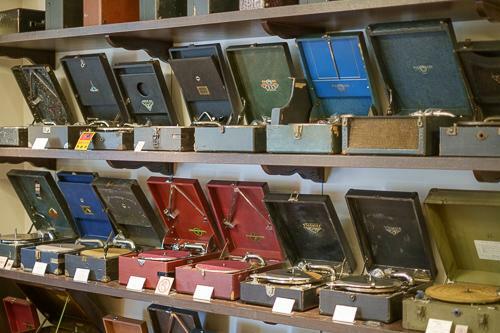 Mr Yokaichiya collected and repaired discarded phonographs. He had reached a collection of 540 machines before donating the collection to the city of Kanazawa and opening the museum in 2001. 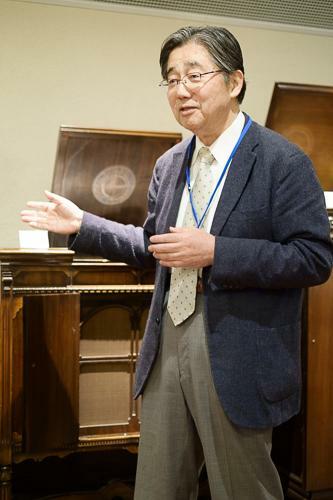 Following the death of Mr Yokaichiya in 2003, the museum has been operated by his eldest son who continues the work of finding and restoring the machines. I’m generally a fan of new technology so did not expect to be particularly taken by these old machines. But the combination of their striking looks, fantastic horn speakers and surprisingly good sound quality was quite beguiling. The best quality machines were fantastically expensive in their day. The Victor Credenza made by Victrola, for example, was $275 when it was launched in 1925, the price of a typical house at the time. Maybe this helps to put the price of today’s high-end equipment into context! If you are lucky enough to visit, here are a few of the machines you may hear, along with a few listening notes I made of some of them. This was a wind-up machine, made about 1915, for playing the recently introduced celluloid "blue amberol" cylinders, successors to Edison's earlier wax types. It was a development of the earliest mechanical recording and replay system invented by Edison in 1877. The sound was pretty distorted and crackly but quite sweet and not altogether unmusical. It must have been revolutionary at the time as it definitely gave a musical experience. Featuring an early diamond needle and 6mm thick discs this had a much brighter and lively sound. This was a much clearer sound with enough pace, rhythm and timing to get my foot tapping. This was a smaller machine, featuring a 10cm loudspeaker. Hardly small by today's standards! This seemed to have quite a harsh sound. Strings on the demonstration piece sounded OK but the high frequencies, especially the brass, sounded very rough. Another vastly expensive machine, this console featured a fantastic 2.7 meter horn loudspeaker. The attendees at the demonstration enjoyed a full bodied performance of 'O Sole Mio' by Caruso. A big and powerful sound. This was a very listenable machine. The HMV model was less distorted than many of the machines on show and this delivered almost a modern sound. Another large horn, now with a platter driven by an electric motor, this record player played 78’s to great effect. Although mono, the stable image allowed clear separation of instrument and voice and almost a stereo effect. Piano suffering a bit from wow and flutter (reminded me of my old Rega in that respect) but overall quite a musical sound. If you should get an opportunity to hear some of these old machines it is a very worthwhile experience. At the same time it shows how surprisingly good the early analogue reproduction techniques could be and at the same time showing how far the audio industry has come over 120 years.